Wind energy hasn’t had an easy time of it over the years. The wind turbines often used to generate wind power have been criticized for everything from their noise levels to the danger the blades pose to birds and bats. But, in the end, it all comes down to whether or not the power generated by these turbines makes overcoming the challenges they present worthwhile. 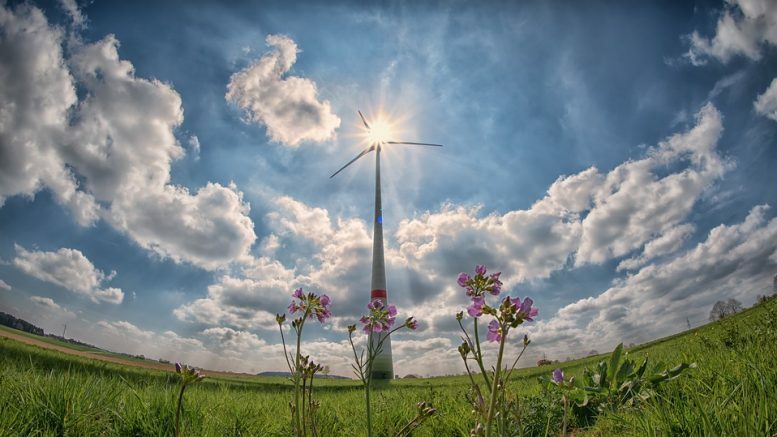 One Danish company thinks that not only is the potential for greener energy worth the trouble, they’ve gone with the ‘Go Big or Go Home’ approach to find out. Dong Energy has recently switched on the largest wind turbines in the world. The 32 turbines, located in the UK’s Liverpool Bay, measure 640-feet high and boast 262-foot-long blades which generate 8 megawatts of power. That’s enough power to fuel the average home for nearly 30 hours. Pushing the envelope when it comes to wind energy is not new for the UK. The country’s government offers plenty of incentives and subsidies for companies to get into the game and they have a long history of making the most out of their coastline. While miles of coast used to mean they were able to make the most of fishing and sea ports, it now translates into the ideal space for wind farms. As of now, turbines throughout the UK have an impressive capacity for 5.3 gigawatts. (To put it in perspective, we’ll remind you that Doc Brown’s time machine required 1.21 gigawatts). The gamble could pay off for investors and consumers alike. Bringing down energy costs would be good news for customers while streamlining production, development, and maintenance helps companies make this new clean technology greener for the world and their bottom line. Be the first to comment on "Do You Feel a Draft? It’s the Winds of Change"